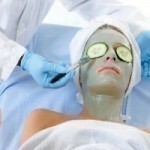 There are patients who opt for natural acne treatments. They become appealing due to the fact that they are free from any side effects. 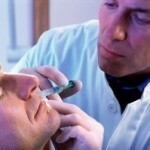 Another reason is that these treatments cost only a fraction of what you pay for other medical treatments. 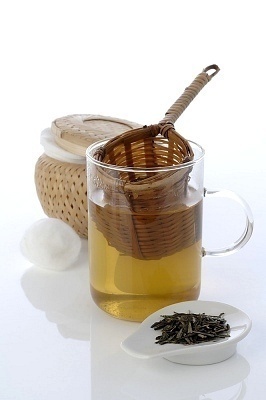 These natural treatments can always be done at home, which saves you the trip to the clinic. The following are home cures and natural remedies for ever embarrassing acne. Apply honey masks once or twice each week as natural acne treatment. Honey can be used to disinfect minor blemishes. It is gentle on skin and promotes natural healing. Honey, as an added benefit, also has antibacterial properties. It is recommended that you wash your face two times a day using acne soap. Acne soaps have a sulfur base which is designed especially to treat acne. You can wash your face with this kind of soap before going to bed and when you wake up in the morning. One tip regarding these soaps and washing your face in general is to wash gently. Don’t use any sort of cloth on your face since the facial skin tends to be quite sensitive. Washing twice a day would be just right. Overdoing it actually increases your acne since over washing will eventually stimulate sebaceous glands to make more sebum. Pull and keep your hair away from your face especially if you have long bangs. Remember that your hair also has oil on it. This will eventually contribute to more acne breakouts. You might also want to wash your hair after working out. Potent multi-vitamins provide your body with needed nutrition. Like the rest of your body, the skin also requires proper nutrition. Remember that clogged pores and excessive sebum are symptoms of an ailment rather than being the cause of the problem. This is important part of natural acne treatment. Chromium, other than being a factor in weight loss diets, is excellent when it comes to healing skin infections. You can take chromium supplements each day to prevent future breakouts and to quickly heal pimples. Carrots are rich in Vitamin A, which reduces the production of sebum. It also increases the strength of your skin’s protective tissue thus preventing acne breakouts. Vitamin A is also an antioxidant that helps to get rid of body toxins. An important part of natural acne treatment is to avoid squeezing or picking on your pimples including blackheads. Do not touch them, rub them, squeeze them, or scratch them. Picking and squeezing your pimples will eventually result in more pimples. Zinc is actually an antibacterial agent, which makes it an important part of natural acne treatment. It helps with the oil producing glands of your skin. It is important to wash your pillow case every other day. Your pillowcase is what absorbs the dirt and oil from your skin. Always keep your pillowcase along with your sheets clean.